Stephens noted, however, that these agencies have recognized the folly of total suppression - thanks in part to his own studies throughout the Sierra Nevada over several decades—and current draft wildland management policies for three of the state's national forests allow active wildfire management in up to 60 percent of the forests. "In the Illilouette basin we lost about 20 percent of the forest cover, but there was a 200 percent increase in wetland vegetation: meadows starting to reemerge from forests that have probably encroached on historical locations," Thompson said. "That sets us up to think that this new regime should be leakier as far as water goes—leaky in the way that suits us as a society." 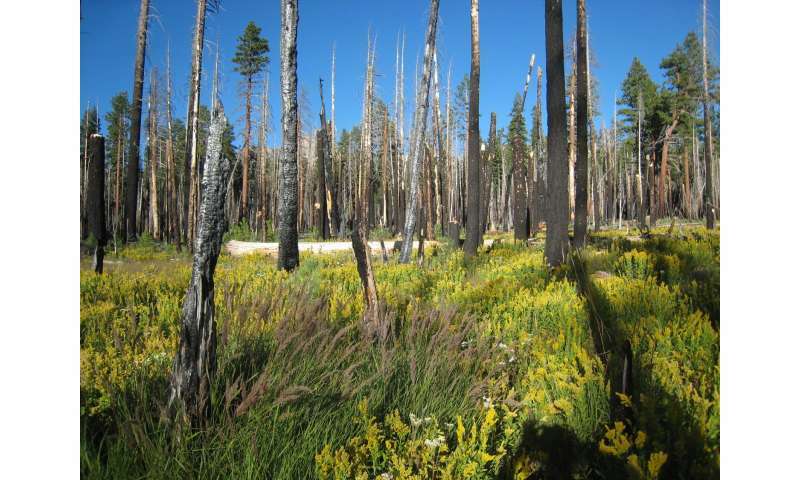 "This is the first study that looks at fire regime restoration on a watershed scale with empirical data," he said. "Others do smaller areas or modeling, but this is 40,000 acres—a big place - over many years." One reason the basin was chosen was that it was surrounded by granite walls, which naturally prevented fires from spreading outside the basin. It had not been burned by the indigenous tribes of the region, which often set fires to increase acorn production, and had no history of prescribed burns. In fact, it saw only natural, lightning-caused fires except for an interval of nearly a century—1875 to 1972—when the park suppressed all fires.